Cheers Talk a weekly 2 hour live talk program designed to everyone as a common platform to talk, show, and learn to become an INNOVATOR! 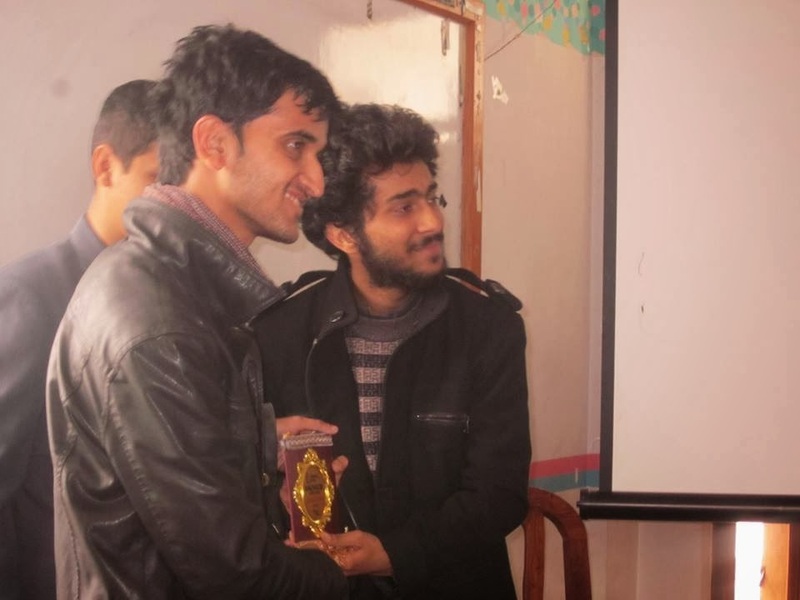 Innovator for this week was +Saunak Bhatta - a Motivational Speaker, Transformational trainer, Campaigner with his direct contribution to over twenty five thousand people within and outside Nepal. 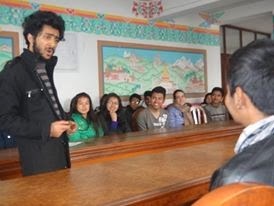 He is the executive director of We Inspire Nepal - WIN , winner of +British Council’s International Climate Champion, Global Inspirational Voices Award, Nepal’s representative for +International Youth Council of +dance4life and pioneer of attitude transformational, human development designs and philosophies. 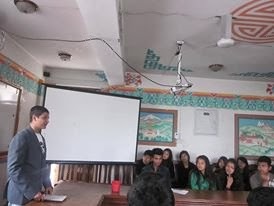 This program was hosted by Rounik Aryal, introduced with practical stuffs by +Prem Lamichhane, an initiator of Cheers Talk, positive talk by Dinesh Thapa, musical show by Trishna Kisiju Nishad Budhathoki and Gaurav Karmacharya and few other innovations by other presented innovators. 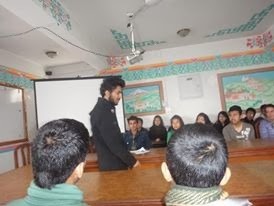 Mr Bhatta’s idea of motivation and innovation was awesome; he not only motivated the people but also added good sense of humor and presented practical life learning stuffs in general. Everyone truly enjoyed the session. Next week, cheers talk will be with new innovators for all the innovative people. We want more and more people to join our weekly session, cheers. This program is designed for all young Innovative people. 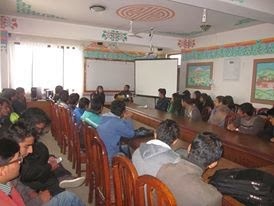 In Cheers Talk, Innovators gather and network at +Southwestern State College, Kathmandu @ 8 am on every Saturday.